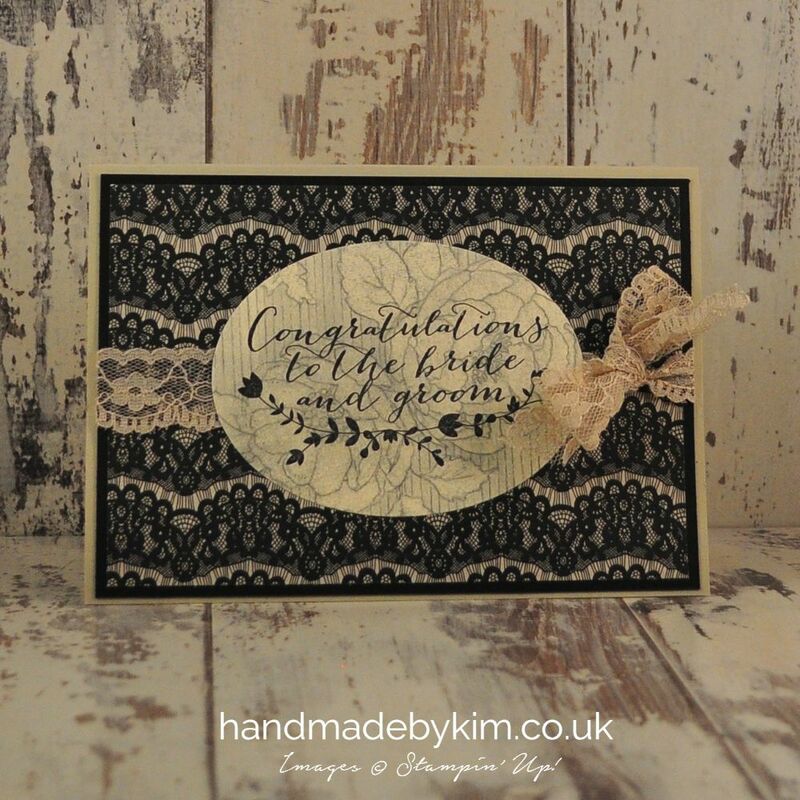 Today's Wedding card showcases the beautiful lace effect paper from the Timeless Elegance Designer Series Paper and the stamp set For The New Two that can be found in the Annual Catalogue. I gave the card a Sahara Sand Base and a Basic Black Layer. 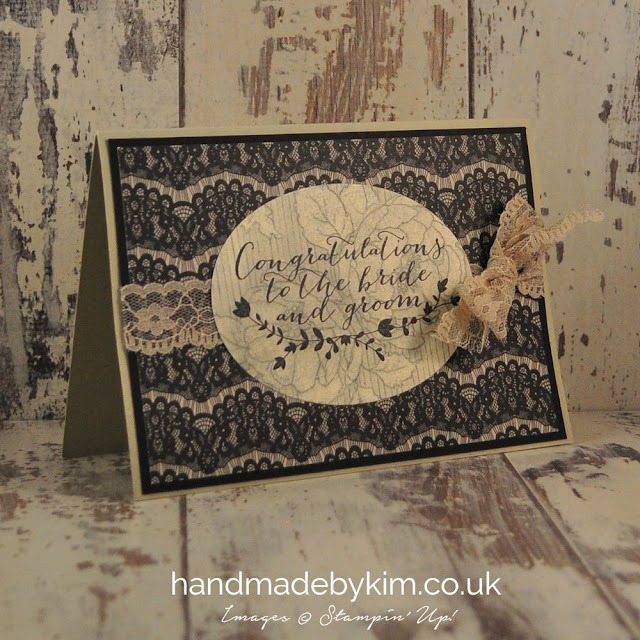 I then hand stamped the sentiment Congratulations to the Bride and Groom onto a piece of patterned paper (also included in the Timeless Elegance DSP pack) and die cut this into an oval shape with one of the Ovals Collection Framelit Dies. To introduce texture into the design I added some of the lovely Sahara Sand Lace Trim in front of the lace effect paper and behind the sentiment and tied a small bow. I hope you've enjoyed the fourth project in my Timeless Elegance Series, please leave a comment to let me know you stopped by. Saturdays project is the amazing bag in a box created by fellow Pinkie Caroline Hallett aka Crafty Hallet. See you then!